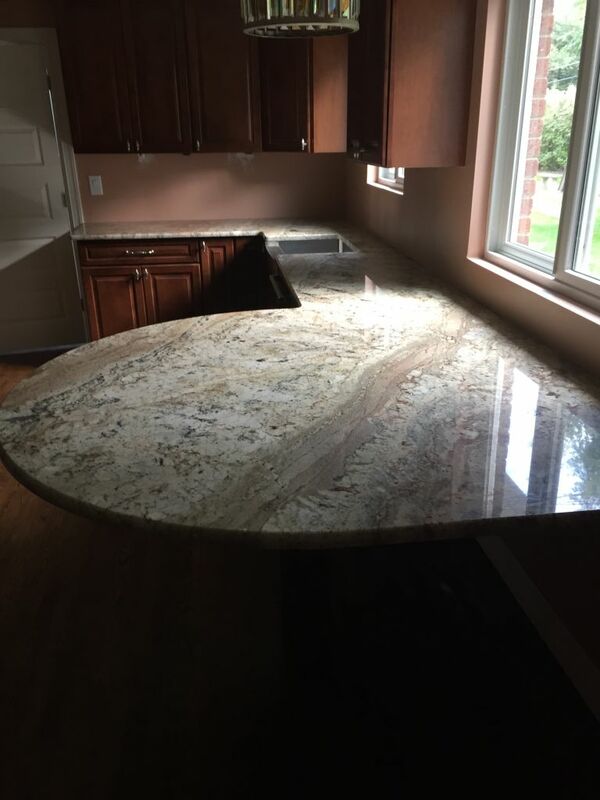 Image Typhoon Bordeaux Exotic Granite Countertops - Hesano Brothers Inc. This is one of the most beautiful colors that can go with lots of cabinet colors. It’s natural color with lots of movements and variation. Very nice and rare color that you can not find it every day. First grade finish quality..
this Kitchen project was fabricated and installed by our team of expert in Gross points farm. we guarantee that we can enspire your kitchen or bathroom.